This was a short week – the lovely “Civic Holiday” long weekend the first Monday in August. But, I can’t stress how much this week did NOT feel short. It was my first week as stay-at-home mom, not counting the (two) times I spent an entire year at home with my boys when they were newborn. Now it’s just official and everything. I have no EI cheques coming in the mail every week, and my final pay cheque from my job was deposited yesterday. It was a bit difficult to accept, knowing that the predictable influx of cash would be gone. Of course, also gone is the predictable (and painful) cheque that I pay to the daycare centre every month. I could have a house that is much nicer than my current house for the monthly amount I was paying those people. I never doubted it before, but this week proved that those splendid ladies (and man) at the Centre deserved every penny we were paying them. 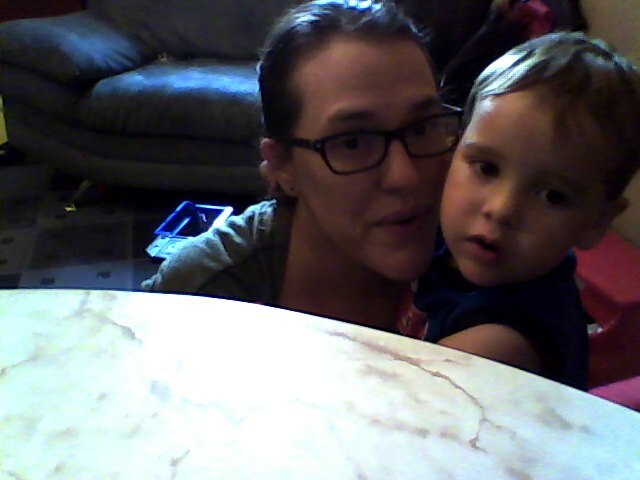 I want to state, for the record, that I LOVE spending time with my boys. They are funny, and fun, and smart and silly and active. Very very active. Days one and two were good – we spent time at parks, went “swimming” in the wading pools, played in the backyard. We even had a play date with one of B’s friend’s. I was exhausted by the end of each day, but I felt like we were going to be just fine. I think I even tweeted about it, that’s how confident I felt. Then the universe decided to laugh at me a bit and see how I could handle two days in a row with lots of rain. Rain that keeps you in the house, because even trying to get to the car would leave all of soaked through, even with umbrellas. oh, and did I mention that I get killer migraines every time it rains? Unfortunately, my kids don’t feel a whole lot of sympathy for me when I tell them “mommy has a headache”, so I powered through and somehow we made it through both days all in one piece. I’m not going to sugar coat it, it was hard. Last night I felt the same level of exhaustion that I did in the early days, with brand new babies; it’s the non-stop demands for attention, feeling like I never have a moment to myself. Breaking up so many disputes between the boys. Just like when they were new, I will find a routine that works for us, and we will all get used to being together all the time. I just hope it doesn’t take that long. 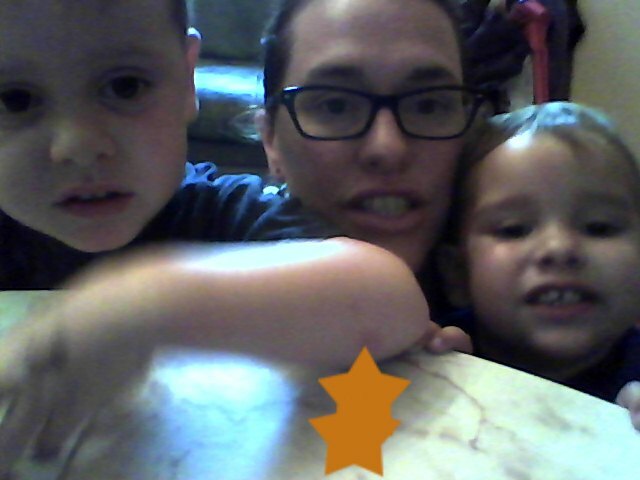 I did discover one wonderful way to entertain and occupy the boys – my new laptop. As they all do, this one has a built in webcam, so we spent about 40 minutes yesterday taking pictures and videos of ourselves, using the various video enhancements. It`s really fun when you can pretend that your hair is on fire, apparently. the orange stars do not exist on my table. They are evidence of the spectacular tricks you can add to images and videos on my webcam application. yay technology! Brendan had wandered off by the time this one was taken. He was probably playing with one of his many Iron Man action figures.